That is so cute! 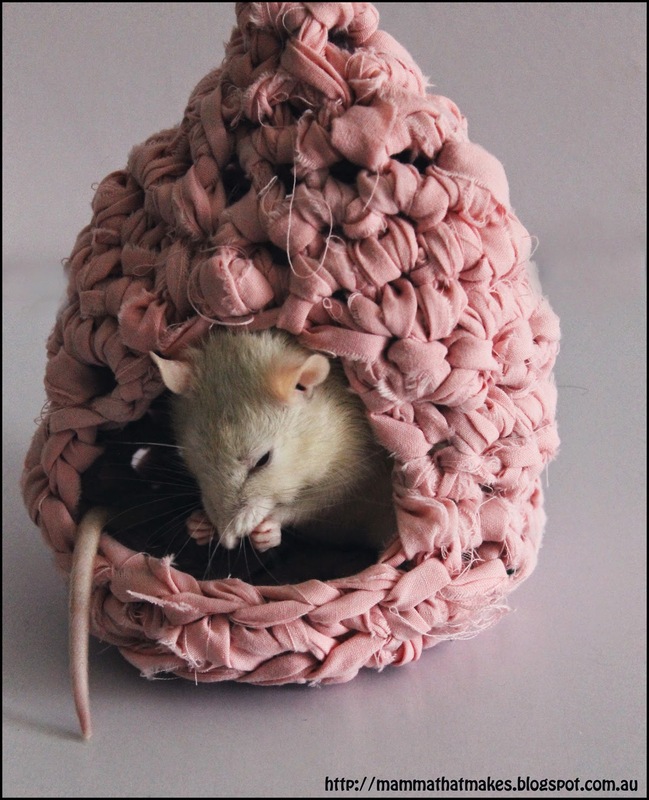 I know rats will love it! Mine quite often do that as well. I like to think they are making an emergency exit lol! 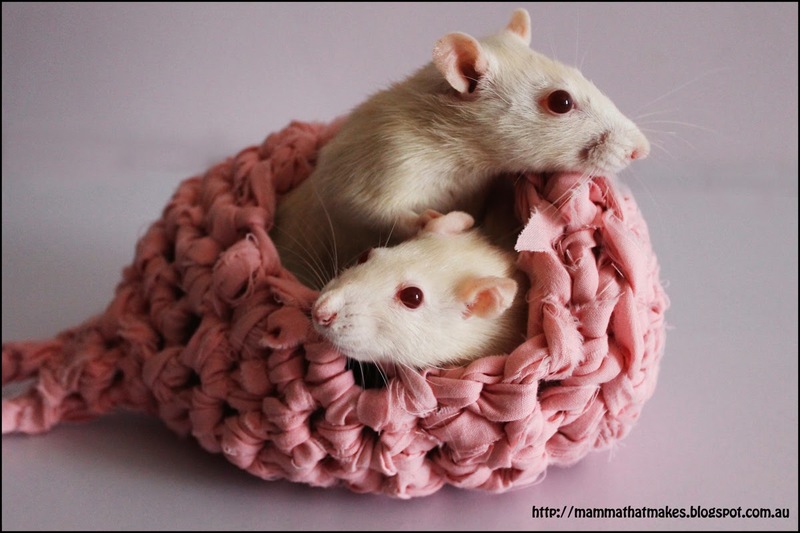 would it be safe to use plastic grocery bags to make the rattie house? I wouldn't. My ratties tended to be goat ratties and liked to nibble on their houses. I don't know if they would ingest it, and Im guessing wild ones probably do, but Im not sure I'd risk it. 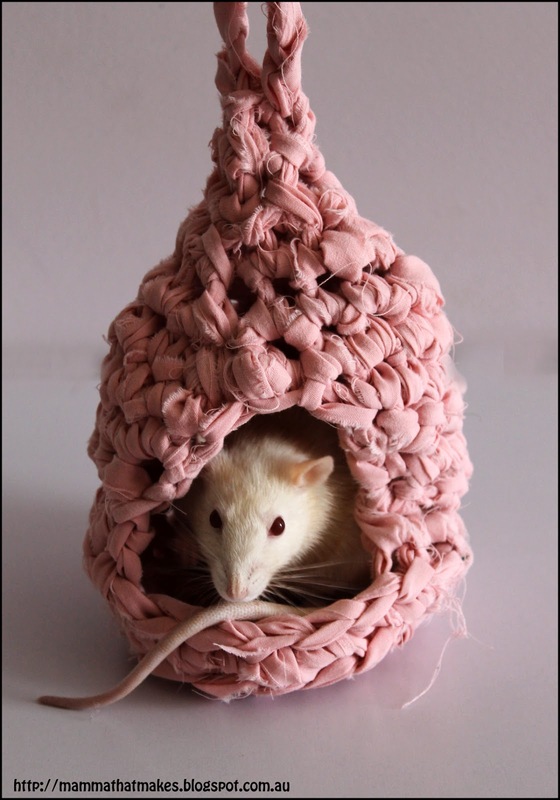 Great idea, I was thinking about making a hammock for my rats, and was wondering what kind of yarn to use, tshirt yarn is such a great idea! Could this pattern be used to make one for a sugar glider using yarn?